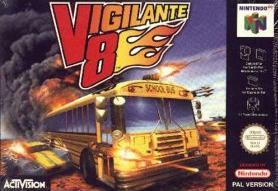 We asked, they listened: Vigilante 8 coming to XBLA! It’s been on many people’s “top tens” and “wish lists.” It’s been played by millions and loved by nearly all. It defined a generation of CARnage games. It was made by a team of only five men. Made famous on the N64 and original Playstation before the first Xbox was anything more more than a concept, it is Vigilante 8, and our friends over at IGN are carrying pictures and confirming the rumors that it is headed to the Xbox Live Arcade. Command and Conquer Red Alert 3 headed to Xbox 360!